Abranet Eco abrasive is a unique long lasting abrasive has been specially designed with thousands of small holes, which enables dust to be efficiently extracted into a dust extraction machine. It means there are no harmful dust particles in the air, making for a cleaner and healthier working environment. 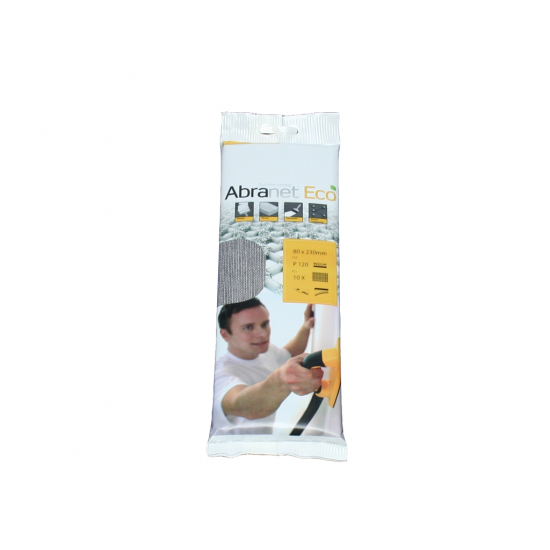 Designed with a hook and eye backing, the Mirka Abranet Eco is suitable for sanding paint, primers, plaster, putty, lacquers, wood and a wide range of other materials. For use with the Mirka Handy Sanding Block, pad size 80 x 230mm.